Many will remember the grainy images of the bodies being pulled from a shallow grave 37 years ago during El Salvador’s brutal civil war. But few know the background stories of the Maryknoll sisters who lost their lives that day. 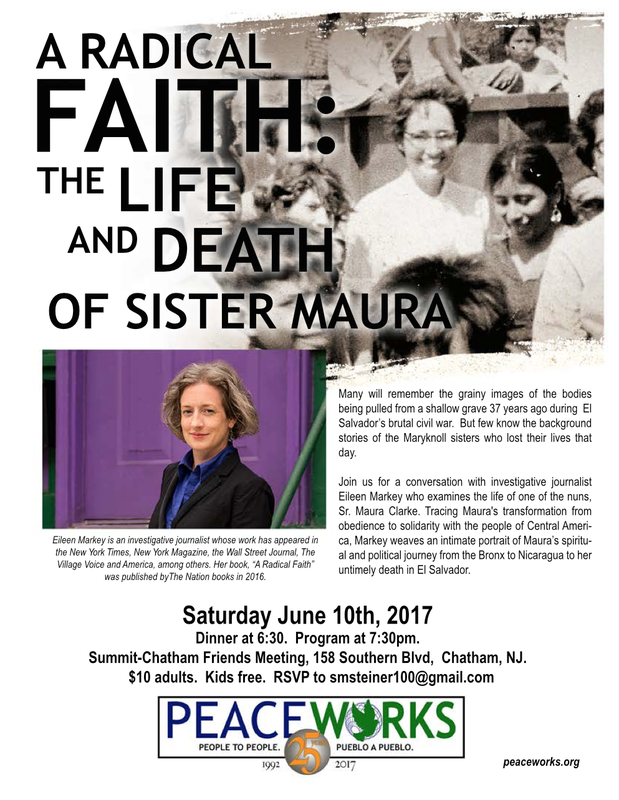 Join PeaceWorks on Saturday June 11th for a conversation with investigative journalist Eileen Markey who examines the life of one of the nuns, Sr. Maura Clarke. 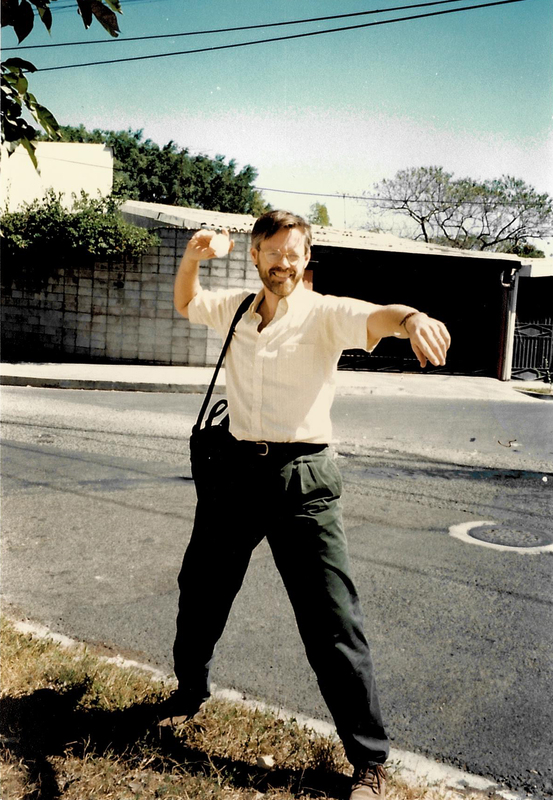 Tracing Maura’s transformation from obedience to solidarity with the people of Central America, Markey weaves an intimate portrait of Maura’s spiritual and political journey from the Bronx to Nicaragua to her untimely death in El Salvador. Dinner is at 6:30. Program begins at 7:30pm at the Summit-Chatham Friends Meeting, 158 Southern Blvd, Chatham, NJ. ← Come on our January 2018 Delegation to Nicaragua!